There’s no doubt about it, transitioning from conventional make-up products to organic ones is the best way to improve your health and overall well-being. As a beauty blogger, I’ve definitely noticed that more and more brands are catching on to this and it’s about time we were all savvier whilst shopping. Natural cosmetics will make your skin look refreshed and rejuvenated, which is why you should definitely think about choosing to go green. 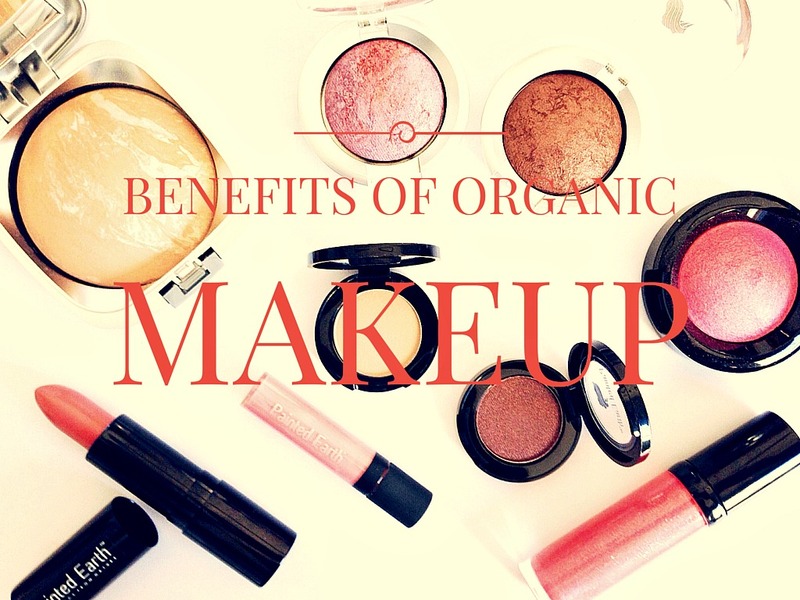 Here are five benefits of organic make-up that you should really take into consideration before making your next beauty purchase. Organic beauty products are appropriate for all skin types, and can be used by ayone with either dry, oily or normal skin, without worrying that these will aggravate their skin types and conditions. Such products actually offer solutions that conventional products cannot compete with since they don’t contain irritants. This also means that glowing skin complexion and improved clarity are guaranteed. Goodbye acne! The lack of harmful chemicals means that even women with sensitive skin can use them. Organic makeup is designed to nourish your skin with nutritional ingredients, which is very helpful in supporting its process of refining and repairing itself. This is exactly why such products can be used as a part of recovery after different treatments and procedures, both invasive and non-invasive. Natural makeup will not add to your existing bacterial load, which means that you can use it during the process of recovery. Of course, you should take into consideration your doctor’s recommendations on when exactly to start using makeu again. Besides that, you can be sure that organic makeup products will not clog your pores up, which can sometimes be the cause of spots. When using organic products, I can’t describe the satisfaction you feel knowing that producing organic makeup products is based on chemical-free bio-farming. This means that toxic chemicals are not released into the world and causing all sorts of problems. I’m all for products that use recyclable packaging too. Places like Lush even have a pot recycling scheme, where if you give back 6 pots you get a free face mask! Regular make-up products often contain different toxic chemicals, no matter whether they are cheap or expensive. As much as I hate to think about it, using them on a daily basis could lead to accumulation of those dangerous substances in your bodies, which further leads to serious health problems. Since organic makeup products are completely natural, they can guarantee that you won’t be exposed to carcinogenic chemicals. Watch out for products that have artificial fragrances too – they’re some of the worst kinds. Naturally fragranced products use essential oils that are probably one of the best natural perfumes in the world. Organic makeup products are highly unlikely to cause negative side-effects because they’re made of 100% natural ingredients whose production excludes chemicals and toxins. To add to their long list of benefits, these products definitely won’t dry out your skin and make it look dull and flaky. Additionally, chances of suffering immune system damage and risk of getting cancer are significantly reduced. So if all these reasons aren’t enough to get you thinking about switching, I’ll eat my hat! Honestly, going green is definitely the best thing you can do for your health and overall well-being. Switching to natural cosmetics is definitely much safer and healthier, not to mention the fact that you are protecting the environment from the toxic substances. Who’s going green with me for 2016?